Drivers have a curious way of talking about time. They are always losing it or finding it, often in incredibly small increments. Most say they can “feel” a difference of a tenth of a second. With the use of a small CRT monitor on a cable connected directly to the official track timing the driver can now see immediate classification and times to one thousandth of a second. 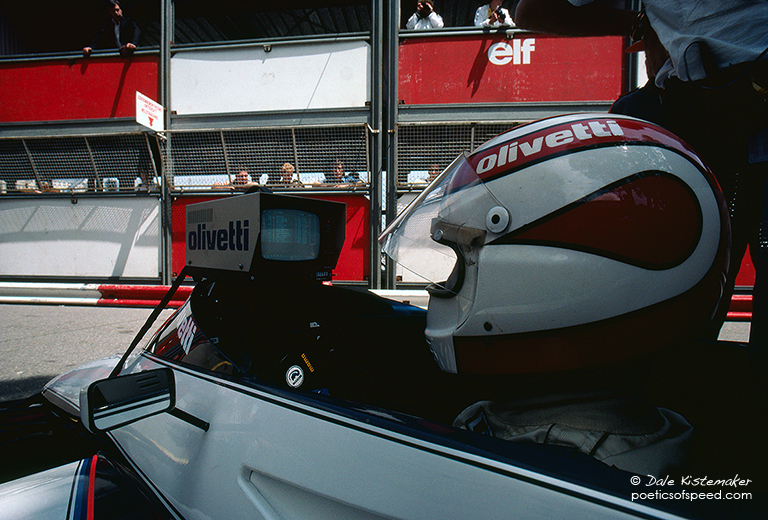 Nelson Piquet sits in the Brabham cockpit studying the data.